Sync wire for iPhone Cable compatible For iPhone 8/ 8 Plus 7 Plus/ 7 / 6s Plus / 6s / 6 Plus / 6 / SE / 5s / 5c / 5 / For iPad Pro / For iPad Air / Air 2 / For iPad mini / mini 2 / mini 4 / For iPad 4th gen / For iPod Touch 5th gen . This Iphone Usb Cable boasts increased durability, faster charging, faster data transfer and compatibility with almost all cases. Give your iPhone the treatment it deserves. we aim to offer the best iPhone cable for customer and become your trustful supplier . 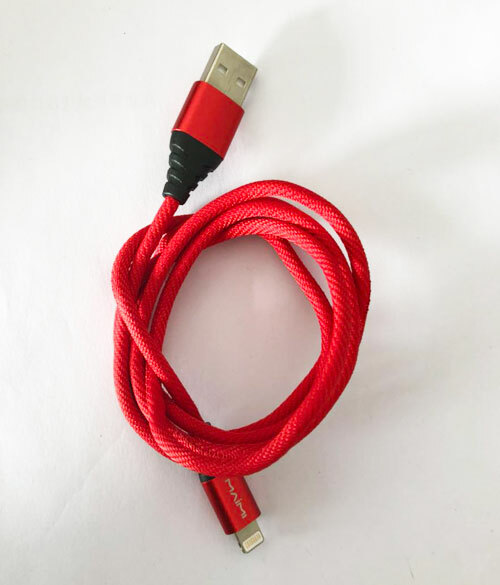 Looking for ideal Red Iphone Cable Manufacturer & supplier ? We have a wide selection at great prices to help you get creative. All the Best Iphone Cable are quality guaranteed. We are China Origin Factory of Iphone Usb Cable. If you have any question, please feel free to contact us.